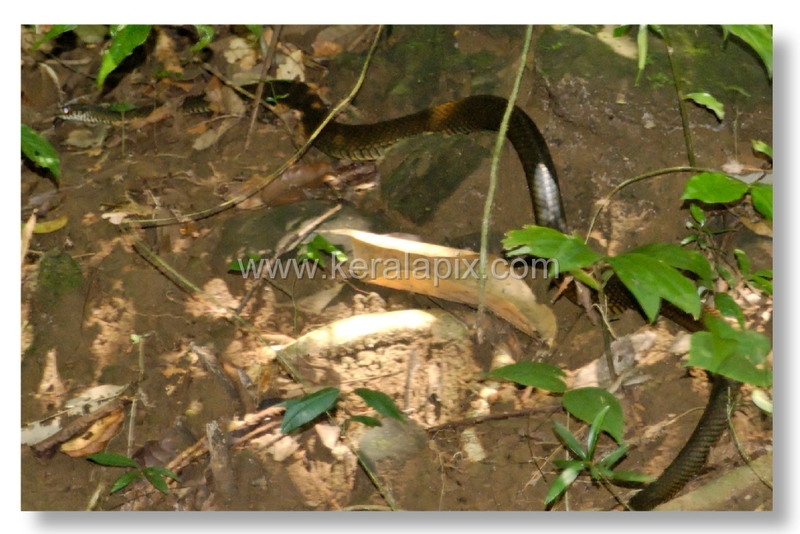 Pictures of a snake in the forests of Thommankuth I photographed while on my trek. Photo ID: TMKH_041 "That's a huge one - measuring about 8 feet. 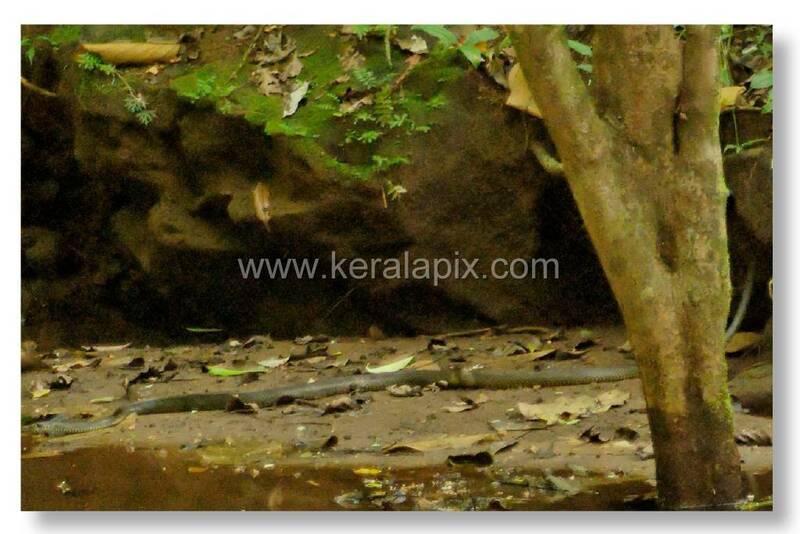 Saw this creature near a water hole"
Photo ID: TMKH_042 "Looking for a good prey ? or just an intention to drink some water from this jungle brook....? " Photo ID: TMKH_043 "Look at it's length! 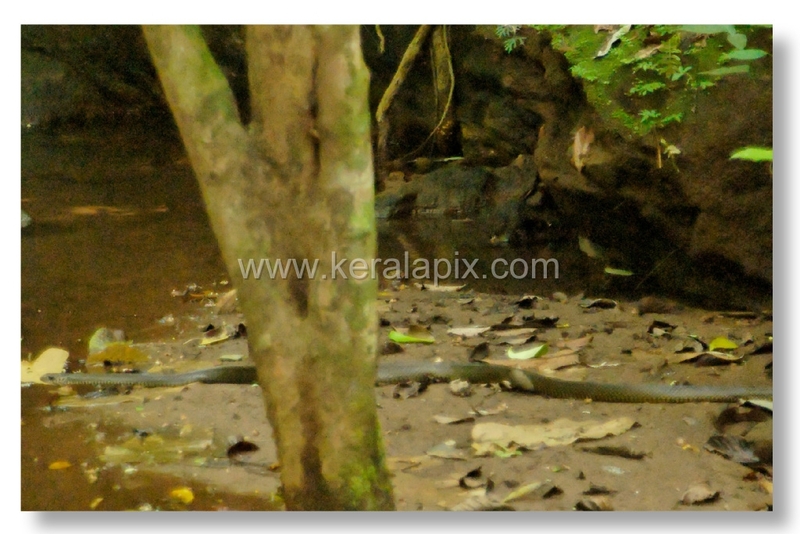 I think it's a King Cobra considering it's huge size, but I'm not sure" Photo ID: TMKH_044 "Definitely it's a Cobra. notice the black body and the yellow black banding under. I saw this snake slightly spreading it's hood twice. Feeling my presence, it fled into the deep jungle"
You may notice a little bit of noise in the above pictures because of the high ISO rating of 1600. The place where I saw this snake was too dark to handle a lower ISO setting. 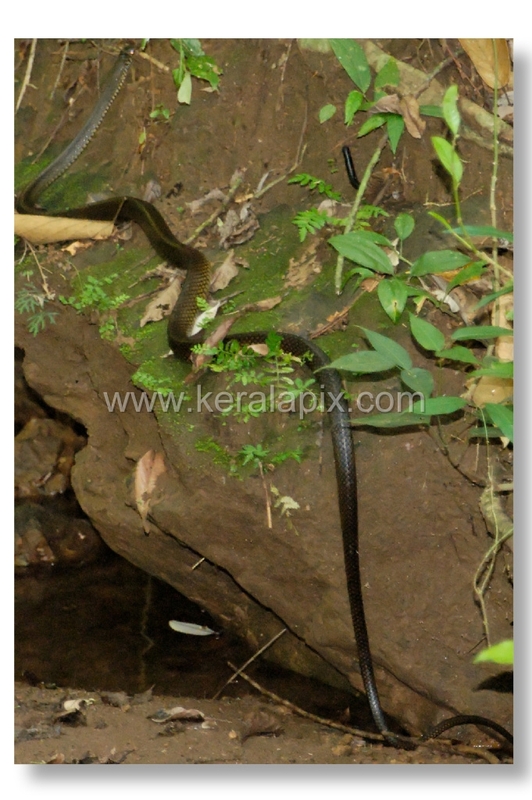 So people who wish to visit Thommankuth falls in Kerala beware not step your feet on one of these highly venomous snakes while on your trek through these jungles. The law is that snakes won't harm you unless you harm them intentionally or unintentionally. The presence of big mammals like tigers, leopards, elephants among others are not reported from this cascade abundant forest.